Chicago MINI Club Apparel is Here! The Chicago MINI Motoring Club is proud to announce that we've teamed up with Cafepress to bring you a variety of CMMC apparel. You'll find everything from tshirts to visors to pins available at the store with more to come. To check it out visit the store at cafeshops.com/chicagominiclub today! All proceeds from the store go to the club and future events! Working through Cafepress, while only offering gives us an easy way to offer club apparel right away without having to full-fill orders ourselves. We can also update shirts very easily to coincide with future events. So look for updates seasonally! Just a reminder – our 2nd annual Baseball Rally is coming up and we still have some tickets left! you will like. Tickets this year are $9.00 and include a Soda and HotDog, with each ticket. We have recently switched to a new service to create and provide our club membership cards. Our first batch has just been sent out to the service, and should be processed and mailed out shortly. We have had some delays getting these cards out quickly because we needed to batch enough together to get a large enough initial order. We will be able to batch and process our cards monthly in the future. Due to the delays, there have been a few people who have not gotten their membership cards and stickers delivered in a timely fashion. We have added a bit of time until their renewal dates to cover the wait. The new membership cards will look fantastic, and there will be updated stickers as well for the second year of the Chicago MINI Motoring Club! 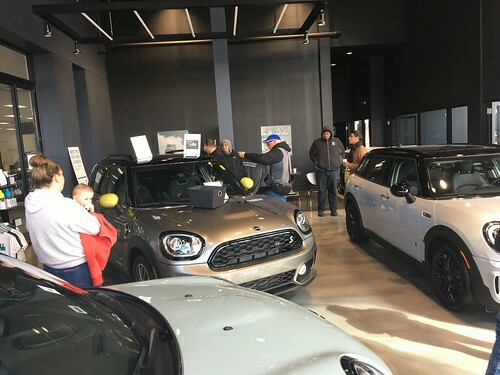 I thought I would put out a place here for people to put suggestions for Chicago MINI Motoring Club events and drive locations that they would like to see in the future. Our regular events typically draw 15-30 MINI's, so bear in mind that logistics for a crowd of that size for meeting spots and interesting routes do need to be considered..